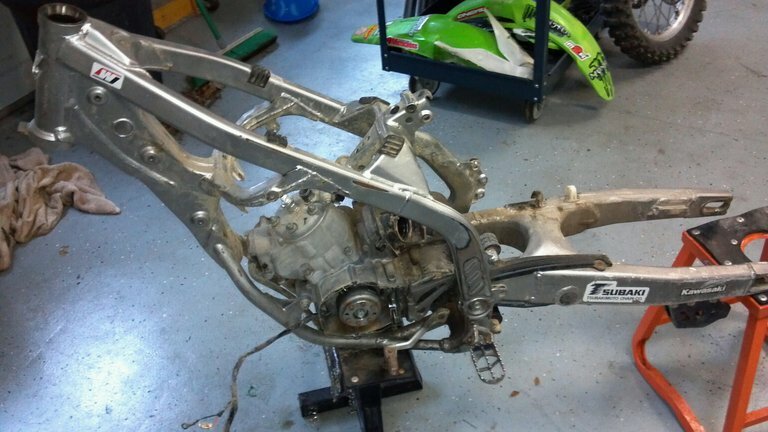 TSM ’05 KX 125 Budget Build – Out With The Old..
2005 KX 125 Budget Build – Out With The Old, In With The New. If you missed our KX Budget Build Intro, this is step 2 of our Budget Build. The tear down went very well. No missing parts or hidden damage, it was fairly well maintained. We feel for $800 it was a very good deal, and a perfect bike for this project. 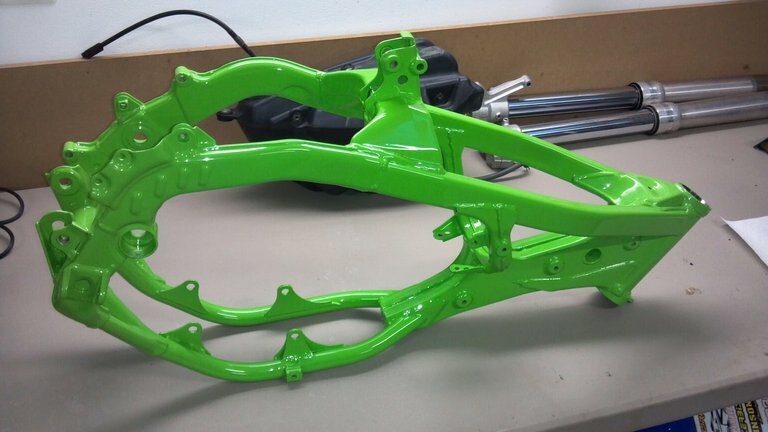 After everything was apart, we sent the frame to Advanced Coating Solutions for some fresh green powder. We got the frame back a few days later, ACS did a great job on it. The rebuild begins.. We sent the Cylinder to Cycle Playground for a mild port/head mod, due to some minor flaking on the exhaust bridge, we went to Millennium Technologies for a cylinder exchange. The parts start arriving. To keep this bike in budget, we replaced what needed it and rebuilt what we could. Luckily most of it was in great shape. ProX Racing Parts provided us with several high wear items. Brake pads, fork rebuild kit and the bearings we needed. The swingarm bearings were in great shape, we cleaned and re-packed them. We decided to go ahead and replace the steering head, linkage and wheel bearings. 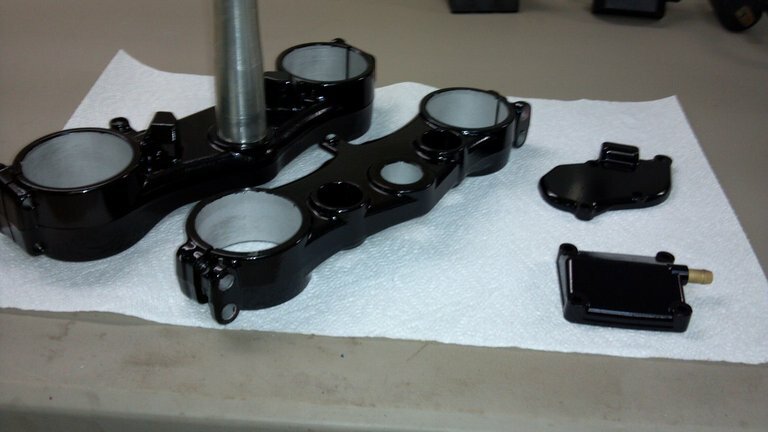 While the linkage was apart for bearing replacement, we decided to powder coat the link and a few other parts black, including the foot pegs, triple clamps, rear sprocket and power valve covers. 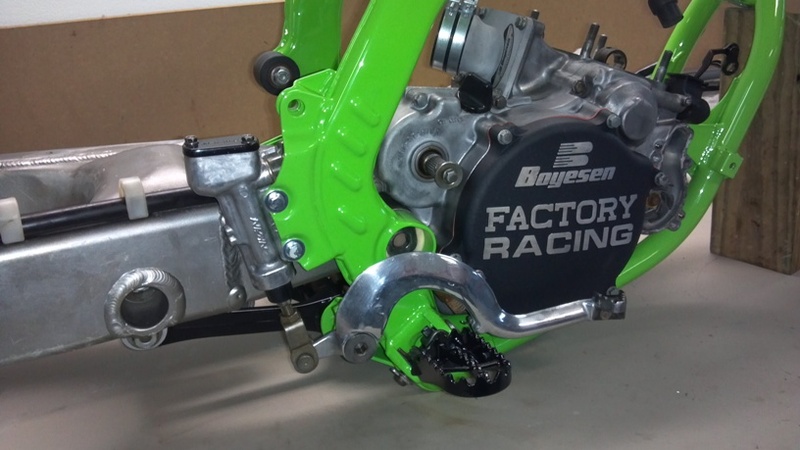 The heart of the bike will be a blend of Wiseco, Boyesen and FMF. 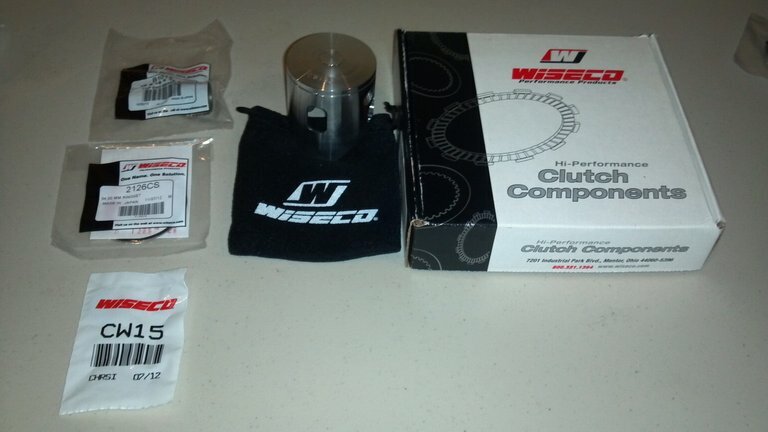 Wiseco provided us with a Pro-Lite piston kit, complete clutch kit, gaskets and some other goodies. 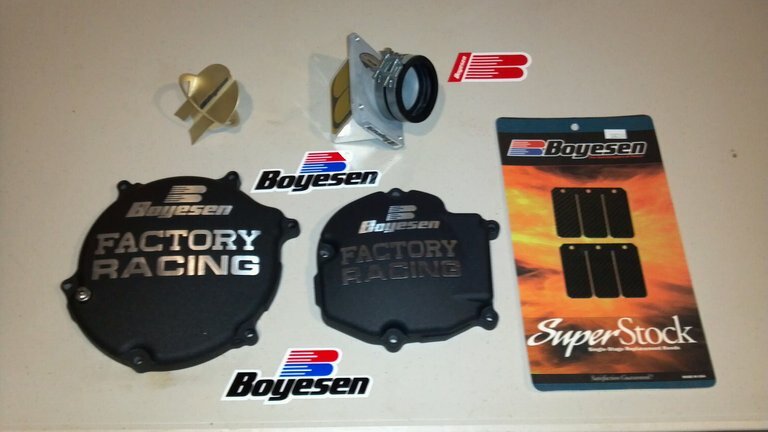 Boyesen provided us some great parts for the project. We have been asked “Why put Clutch and Ignition covers on a “budget build”? Easy. They look great, and Boyesen has a great Closeout page! Both covers for under $55, very budget friendly. For Intake Boyesen has a few options depending on your budget. The carbon fiber Super Stock replacement reeds are superior to OEM and can fit any budget. For this build we have to go with our favorite block on the market, the RAD Valve. We have used these on several builds, best you can get! We will also be using the Power Wing to get that air straightened out. 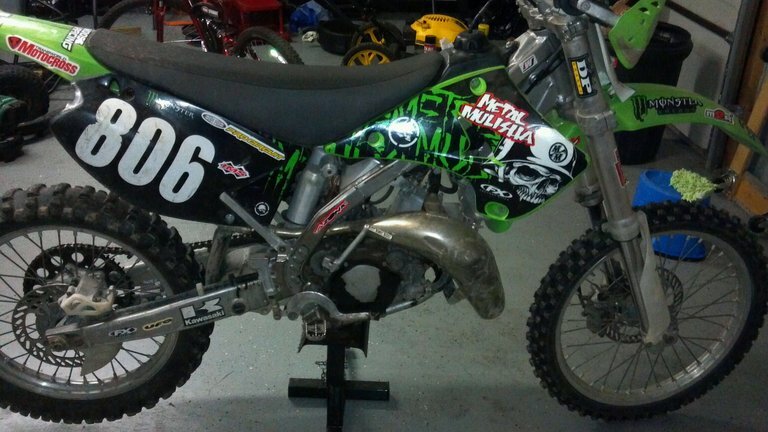 For the beasts beauty we turned to Decal Works and MX Plastic.com to get the KX green again. 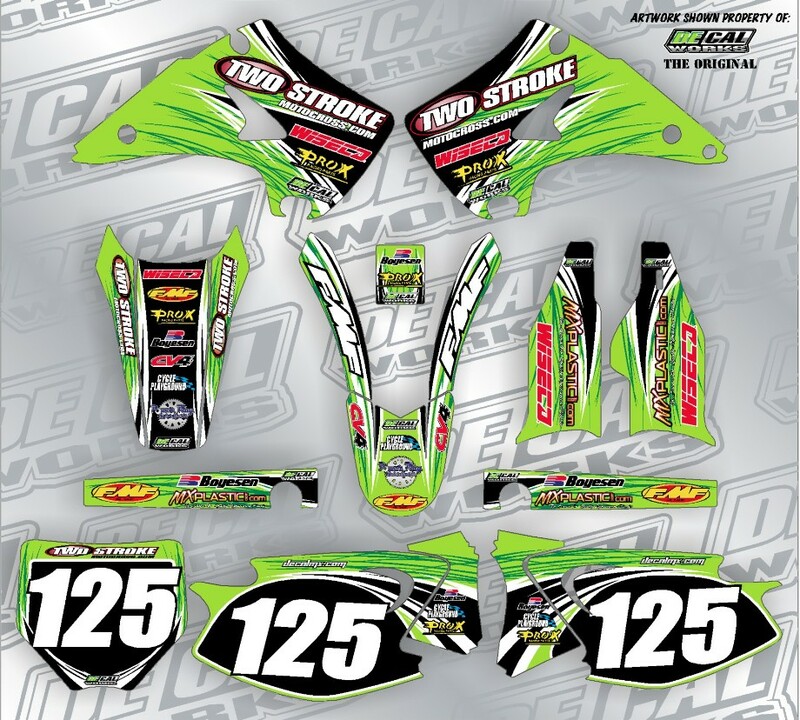 We are replacing all of the plastics and a Custom Decal Works T-9 series kit. Currently we are waiting on a few more parts to arrive to finish up the build. Stay tuned for the next article when we finish up the ride and give you guys the cost to build a budget racer just like this one! Like us on Facebook and Follow us on Twitter to get access to build photos and discuss the project. Stay Tuned!